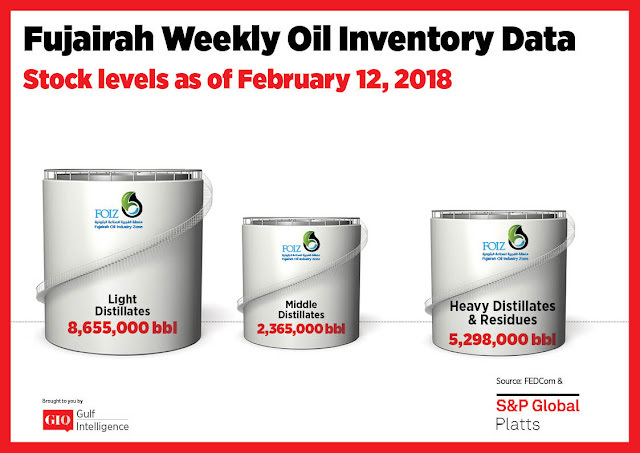 Total refined oil product stocks at the UAE port of Fujairah stood at 16.318 million barrels in the week to Monday, down 3% from the previous week, latest data from the Fujairah Energy Data Committee, or FEDCom, showed. Stocks of heavy distillates and residues fell 24.3% week on week to a record low of 5.298 million barrels. 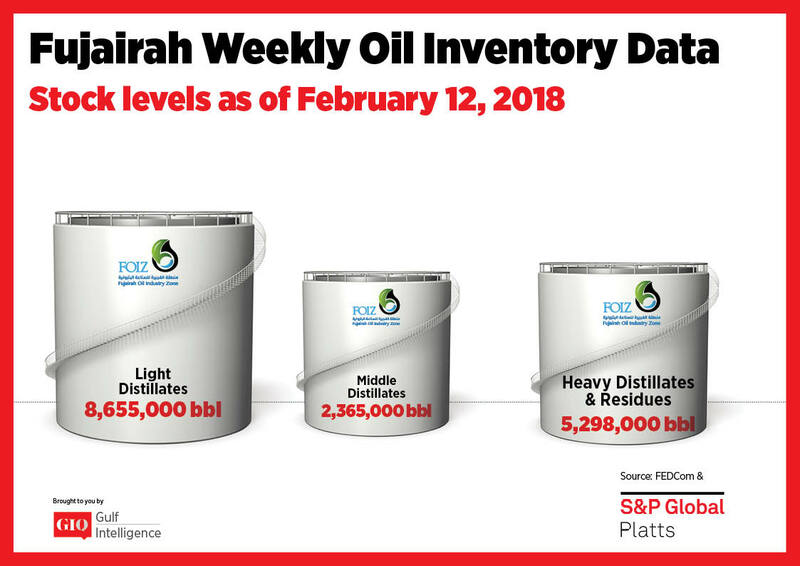 "A flat market structure is not supportive of storing fuel oil, while sluggish bunker demand and the end of utility grade fuel oil imports from Fujairah by Pakistan have also weighed on appetite to hold volumes in stock," S&P Global Platts Analytics said in a report. Stocks of light distillates, however, rose 10.3% week on week to 8.655 million barrels, the highest total on record. Stocks are currently 1.7 million barrels, or 47%, higher than at this time last year. 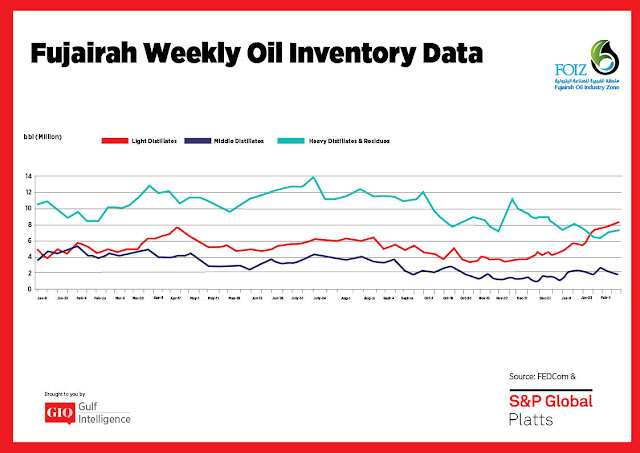 "Gasoline fundamentals in the East of Suez are still seen as long, though the market consensus is upcoming spring refinery maintenance will bring supply back into balance," Platts Analytics said. Stocks of middle distillates rose by 19.5% or 386,000 barrels to 2.365 million barrels. The inventories are 45% lower year on year, and could remain low at least in the near term as supply will be constrained by current and upcoming refinery maintenance, the report said.